Union Adorn is a studio composed of discerning tastemakers with the intrinsic knowledge of beauty. Driven to create compelling experiences that illustrate the stories of our clients, through residential interiors and creative services for brands. We are strongly focused on representing exceptional taste through forward thinking, while remaining grounded on the fundamentals of refined design. Our style is layered in detail, personal sensibility, and innately beautiful. With office locations in Seattle and New York we are continually accepting new clients on both coasts, as well as considering like-minded clientele living in between. Backgrounds in branding and marketing render us the unique ability to seamlessly interpret brand concepts and expertly articulate vision through design and interiors of new or updated restaurants and hotels. Our team is composed of alum from some of the most influential retailers in the world, with extensive experience designing and producing displays and installations for pop-up shops, window displays and styled shoots. 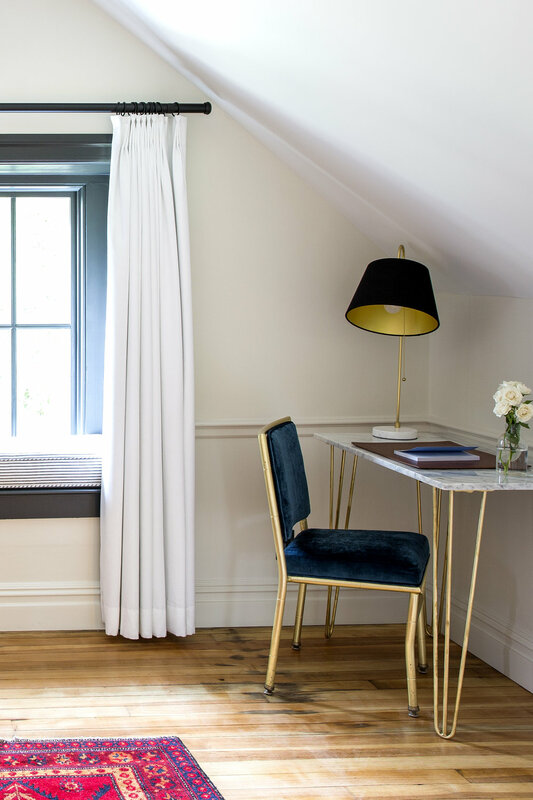 Being a rental property we had very little freedom to change any permanent element within the cottage, therefore it was all about showcasing its abundant charm and character. By highlighting the tall ceilings and good natural light with a neutral atmospheric paint palette, handsome furnishings and modern light fixtures, the result is an unabashedly eclectic mix of traditional flair, abundant texture and lively energy. Taking visual cues from 1930s and 40s French moderne interiors, Bergdorf Goodman wanted to create a space that was grand yet intimate. Their vision for the New Main Floor was to be a timeless and lasting design. "An experience which is historically sensitive, yet modern and fresh." They focused their attention to beautiful materials and details with custom-made, hexagonal cases and faceted display cases. UA was brought on to carry out this vision within the jewelry display forms, risers and accessories display fixtures. 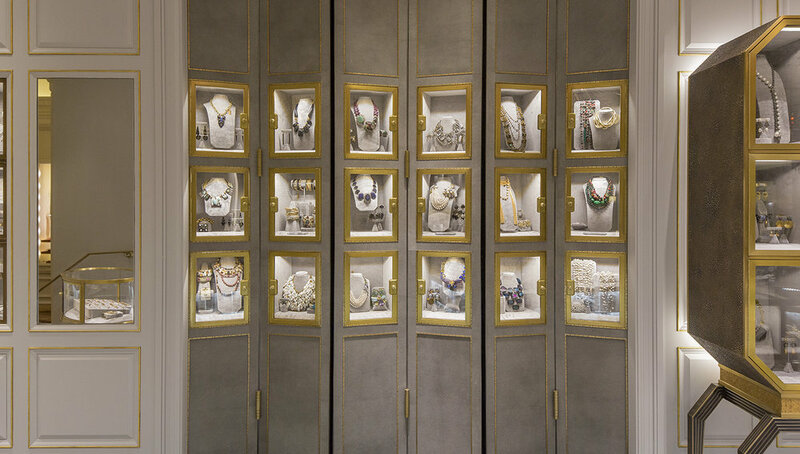 Partnering with a production company, and the BG in-house store design team, we designed a collection of over 1,000 custom fixtures to elevate and present the jewelry in true Bergdorf Goodman fashion. Partnering with the interior architecture firm Studio MRD we created a bespoke space that both exceptionally highlights the clients' covetable art collection and provides comfort and ease for a busy family in the city. Hired to assist the owner Akiva Reich, in executing his vision in creating a luxuriously modern boutique hotel retreat. 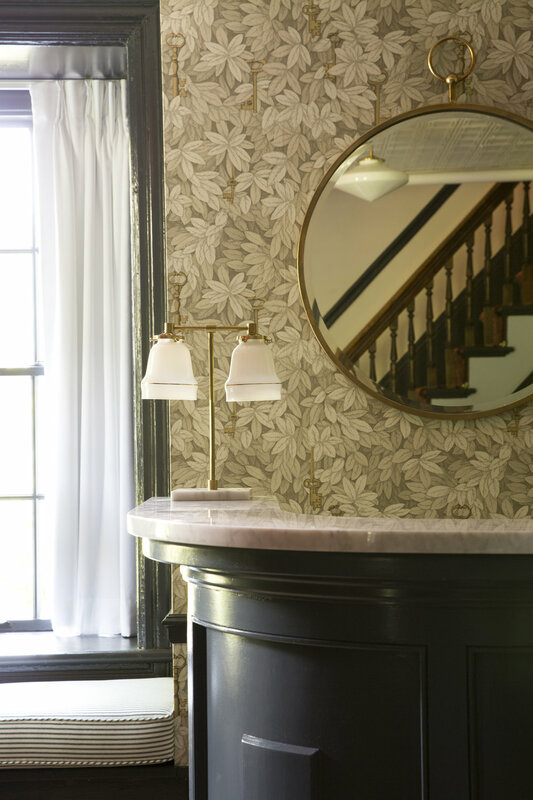 Through curating a collection of locally sourced antiques, custom designed furniture and accessories by artisans and craftsman located both near and far; the result is a property both rich in detail and history. After creating the framework of a functional space with the architecture firm Studio Parallel, Leota worked with the designers of UA to bring the initial vision of a triple-threat office, showroom and design studio to fruition. "The space needed to be everything including our design studio, business offices, and wholesale showroom. Since we specialize in prints, I wanted streamlined décor, so it wouldn’t compete with the dresses. I believe that a beautiful, tidy, uncluttered environment is mandatory for maximum creativity and happiness. Lauren made every visual moment at Leota reflect our brand lifestyle of effortless glamour."